At Fawn Computer Services we’re dedicated to delighting our customers with superior quality and excellent service. We’re local, honest and fair. We are very competitive on all our repair pricing. Fawn Computer Services opened its doors in the summer of 2005 in southern York County, Pennsylvania, and now services South Central Pennsylvania, Northern Harford County and Baltimore County. The founder of the company, Charlie Curry, offers his customers 30 years of experience in equipment repair, the majority of that with a major U.S. medical systems company. Fawn Computer Services believes in honest and fair business transactions, and gives his clients nothing but his best in each and every service he offers them. 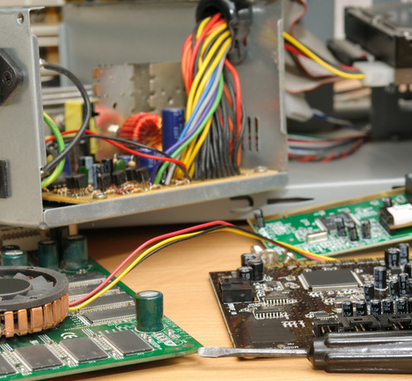 The truth is that most computers these days, either from a brand name manufacturer or a no-name brand, can easily be serviced by any capable technician. Parts are generally universal and if not, compatible parts can usually be located quickly. So who do you turn to when looking for service and repair for your computer? Finding a qualified specialist capable of undertaking your system's repair in a professional, competent and efficient manner can be a difficult task. Fawn Computer Services offers not only computer repairs, but also the additional services that computer users need to ensure their home and/or business computing is as trouble-free as possible. Let us offer you our top quality assistance. © 2013 Fawn Computer Services - All rights reserved.